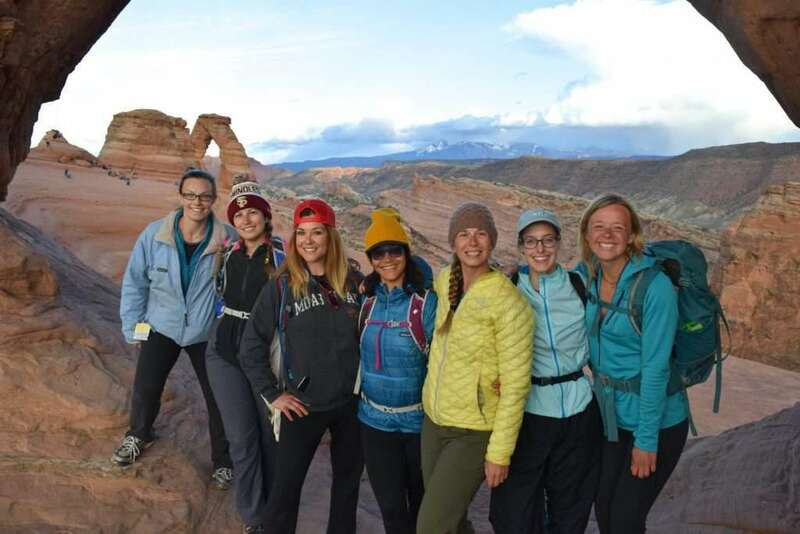 Hike Arches and Canyonlands National Parks and embark on the best multi-sport adventures in canyon country on our Women Only, Small Group Hiking and Multi-sport Adventure Tour in Moab, Utah. Your Hiking and Multi-sport adventure has been carefully curated and “in the field” tested by your Explorer Chick team over years of playing in this outdoor mecca in the desert. 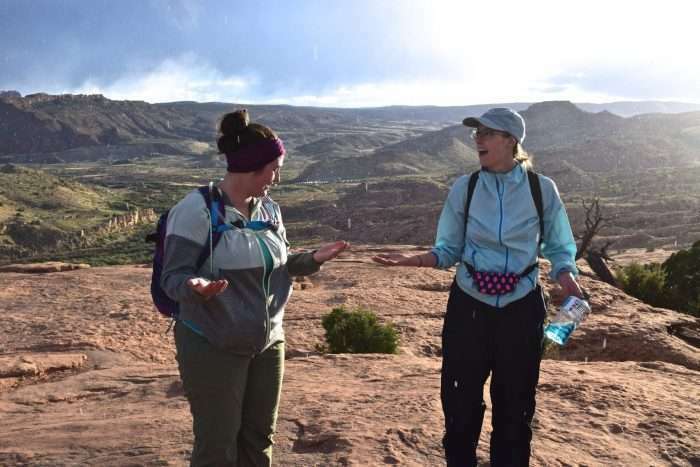 This is a “no holding back” trip designed to get your adrenaline pumping while sharing our favorite hikes and adventures in the area with you. 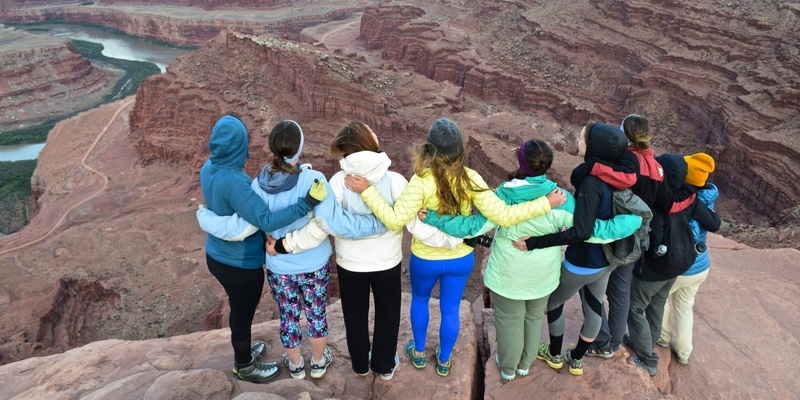 You’ll quickly discover why Moab is the destination in the southwest for all things adventure. 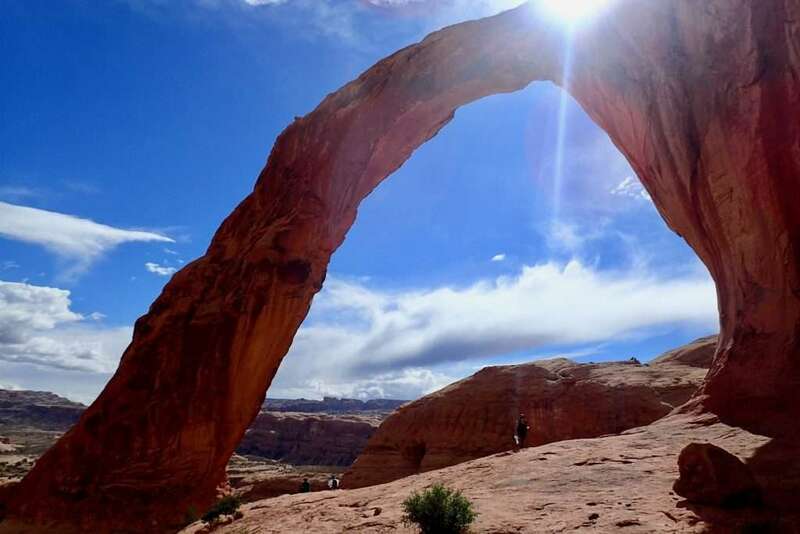 It’s home to world class rappelling, slick rock off-roading, whitewater rafting, and hiking with two iconic National Parks. You’ll feel nothing but air underneath you as you rappel from one of Moab’s infamous arches. You’ll get behind the wheel of an off-road vehicle navigating and zipping over the slick rock trails to hard to access areas. 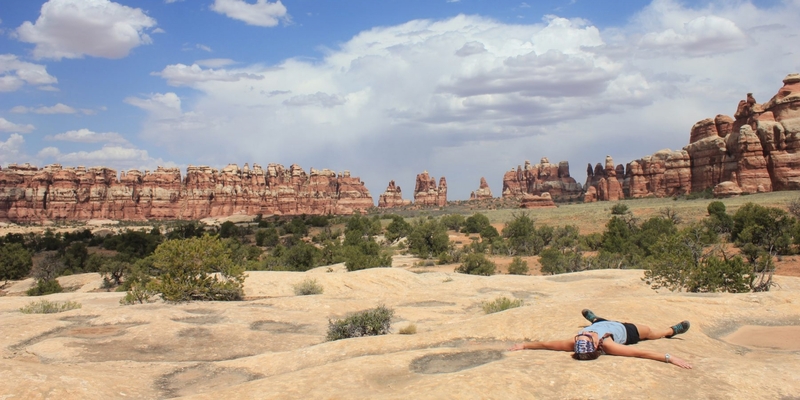 You’ll be surrounded by the strange shapes of the hoodoos in Canyonlands Needles District. 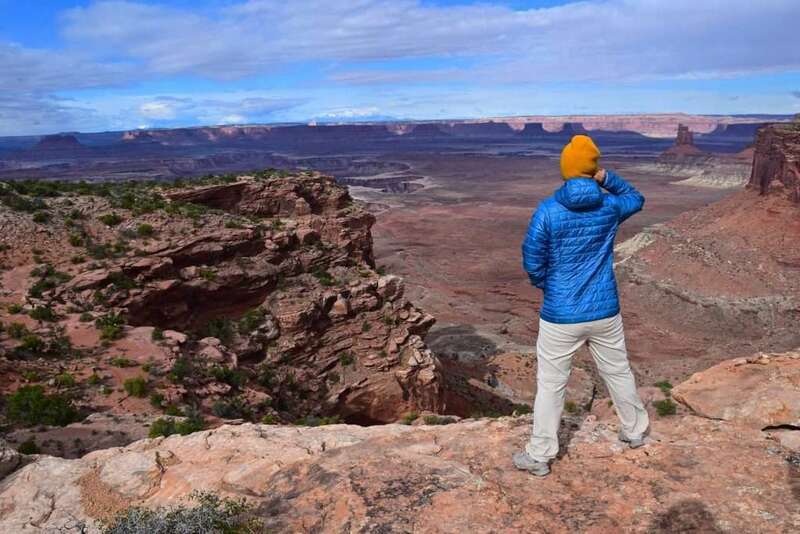 You’ll wonder how you hiked down the side of a canyon wall to the white rim in Canyonlands Island of the Sky. 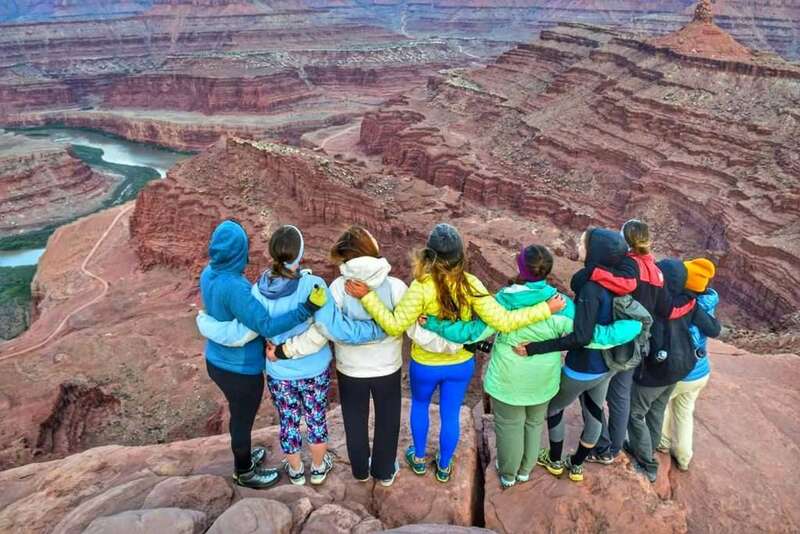 You’ll take in the history and folklore of the Moab area floating the class II-III rapids of the Colorado River. You’ll gather with your Explorer Chick sisters to catch one unforgettable sunset in Arches National Park. You’ll gladly wake before dawn to eat breakfast while basking in the warming rays of the sunrise. You’ll head out on the town to dine at local eateries refueling all those calories you burnt. Every night, you’ll kick off your dusty hiking boots in our Explorer Chick House while sharing bad jokes and retelling the day’s adventures! Your Explorer Chick guides will prepare fresh breakfasts and dinners every night when not enjoying a local, favorite eatery! Oh, and we’ll squeeze in time for you to meander and shop in the funky little town of Moab. 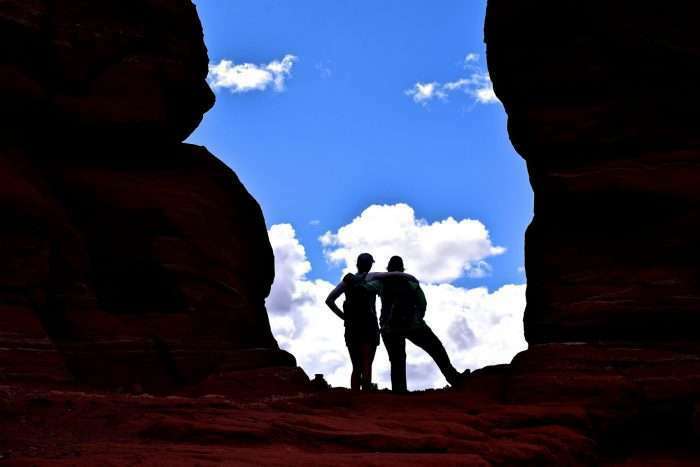 Rappel through arches and down canyon walls as you explore areas of Moab that are only accessible via ropes. Whitewater raft the Colorado River (Class II-III) through towering canyon walls with chances to spot bighorn sheep and other wildlife. 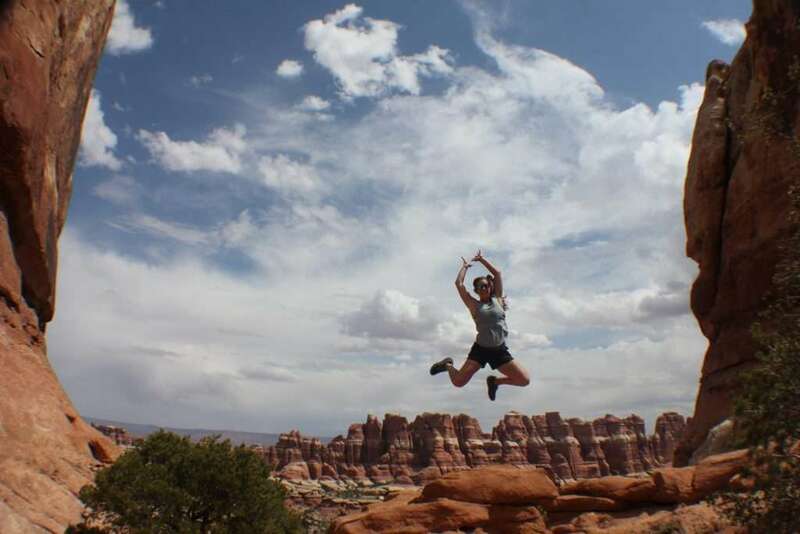 Witness the power of wind as you hike among iconic formations in Arches National Park where over 2,000 arches have been documented! 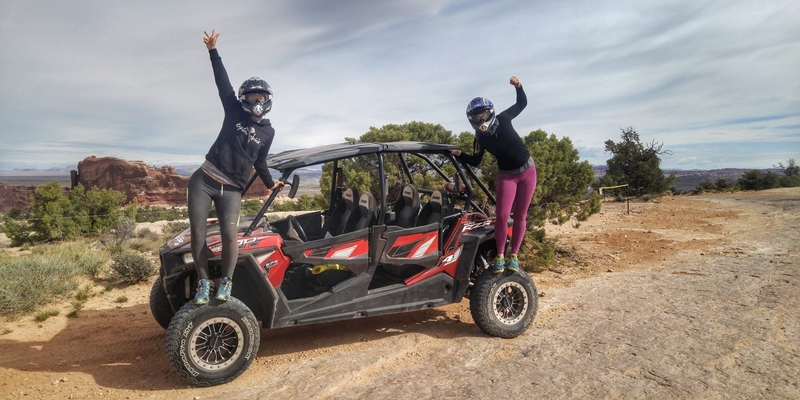 Put the pedal to the metal driving an off-road vehicle up and across desert mesas with stunning views. 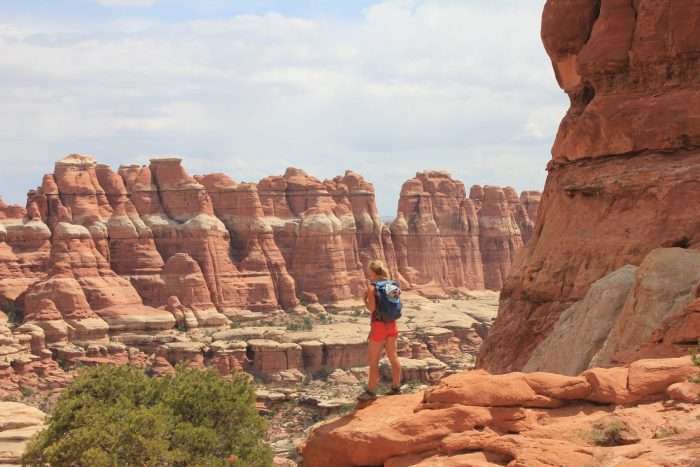 Wander through slot canyons, among sandstone hoodoos, and across wind-eroded plains in the Needles District of Canyonlands National Park. 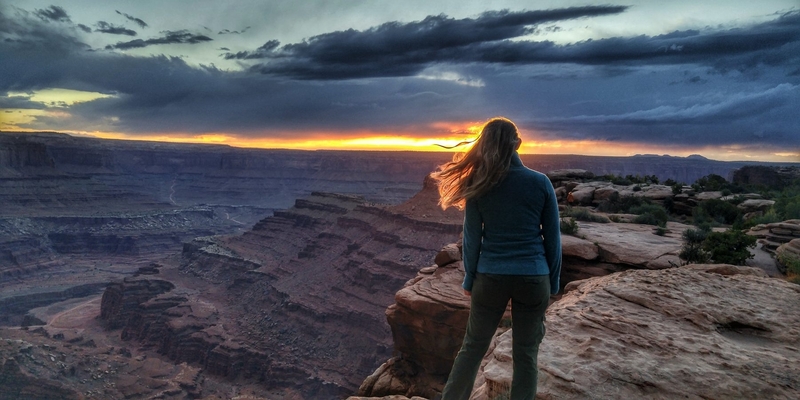 Wake early to watch the sunrise over the canyon in Dead Horse Point State Park while munching on breakfast and sipping on hot coffee. 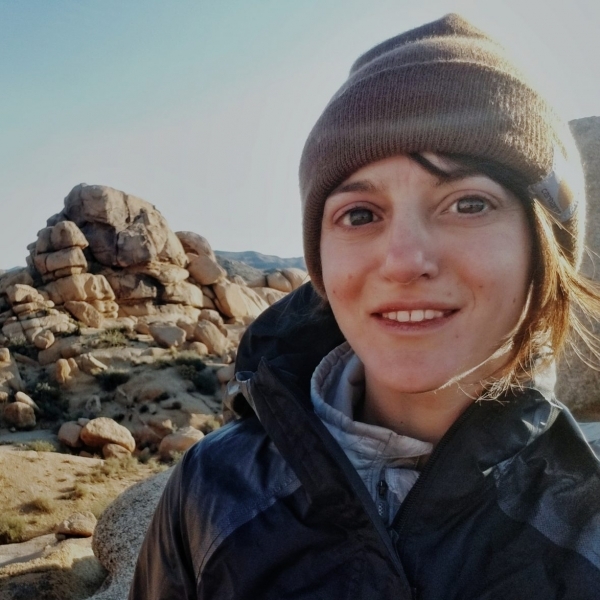 Hike in secluded areas of the desert where you’ll hear nothing but the rustle of the wind and scruff of your hiking boots. 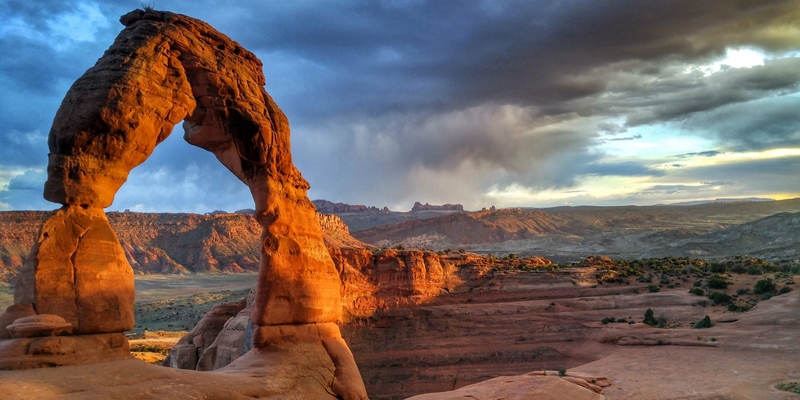 Meander into the shops of the quaint and artsy town of Moab. 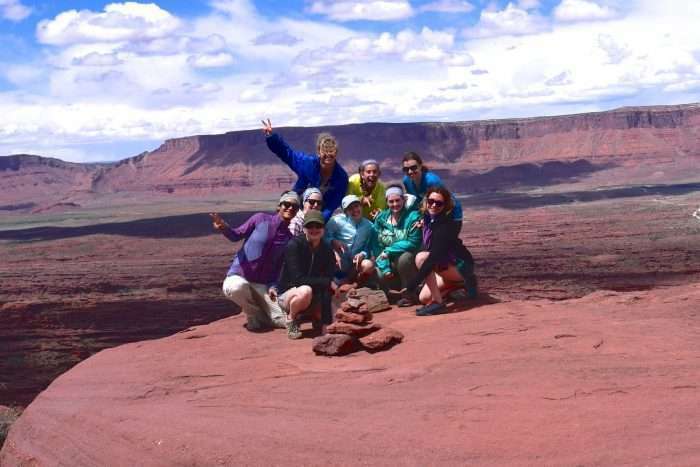 7 days/6 nights in a shared house near Moab, UT. Shared, 2 Explorer Chicks per room. Each Explorer Chick will have her own king, queen, double or bunk bed. Beds selected at random. 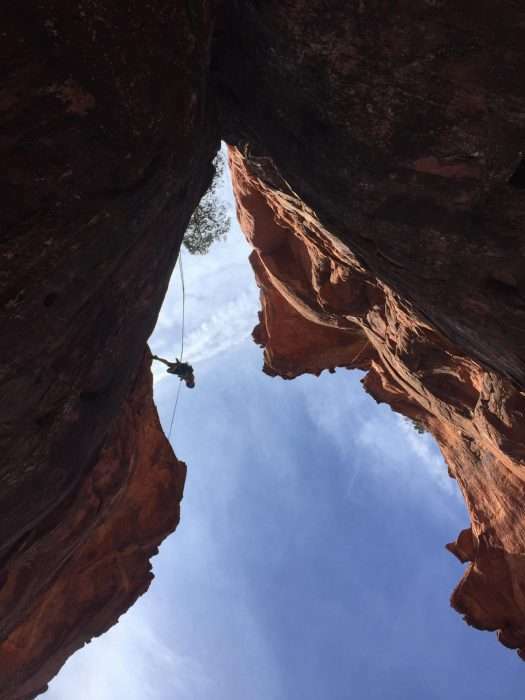 Full Day Rappelling through an arch and down canyon walls. Full Day Whitewater rafting through Class II-III rapids on the Colorado River. Half Day Off-Roading in a 2-seater ATV. You and your Explorer Chick partner will each have the opportunity to take the wheel. A commemorative Explorer Chick shirt. *Packages do NOT include your rendezvous hotel, departure hotel, airfare, airport transportation, alcoholic beverages, travel insurance, Explorer Chick Leader Tips, meals exclusive of itinerary, or costs for additional activities. 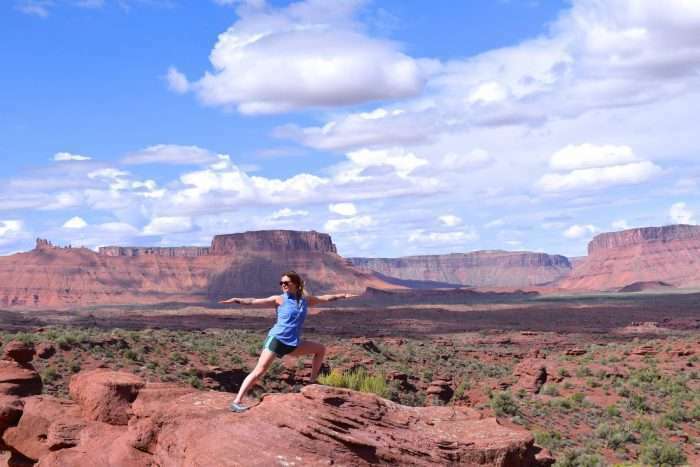 Day 1: Welcome to Utah! Your day begins at 8:00am at our Rendezvous Hotel located in Salt Lake City, UT. Be sure to eat a hearty breakfast before meeting up with the group. You’ll be greeted by your Explorer Chick Guides in the morning with an official orientation to follow. 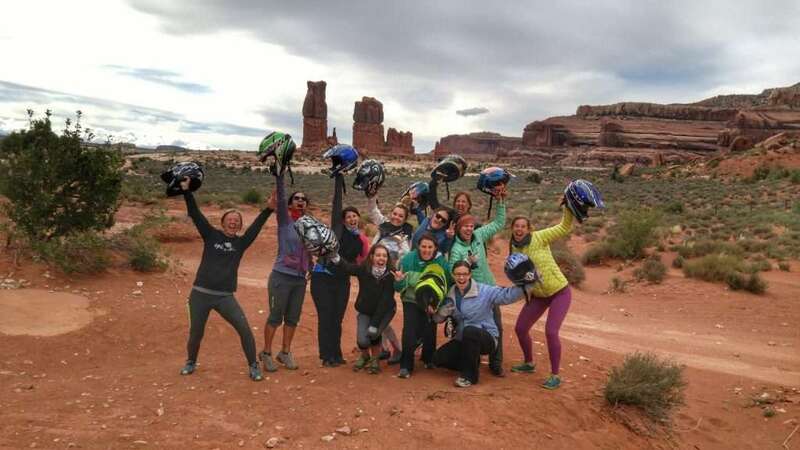 We’ll then hop into our Explorer Chick Private Transport for our 4 hour transfer to Moab and the surrounding National Parks. On the drive down, we have a special surprise for you! 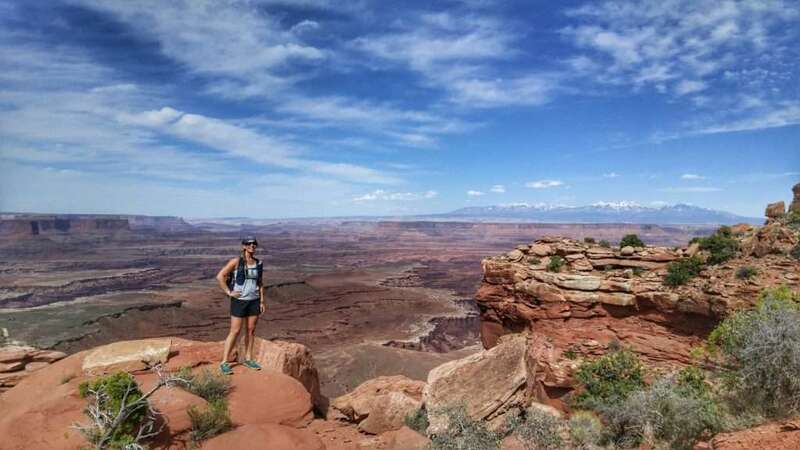 We’ll unpack at our Explorer Chick House for our week in Moab with views of the rocky mesas and red desert right out our windows. 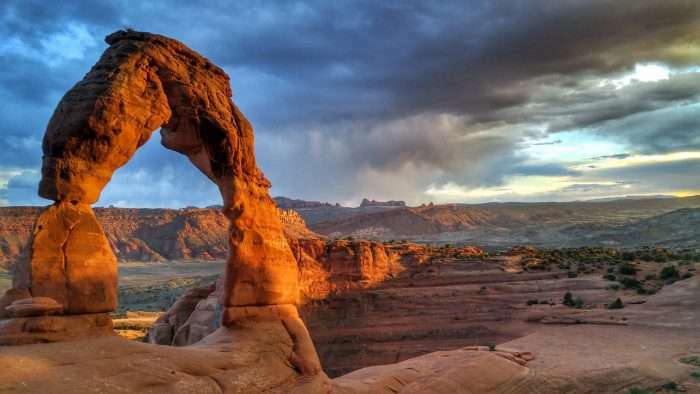 Your first taste of the desert will be from secluded canyons and seldom visited rocky landscapes. 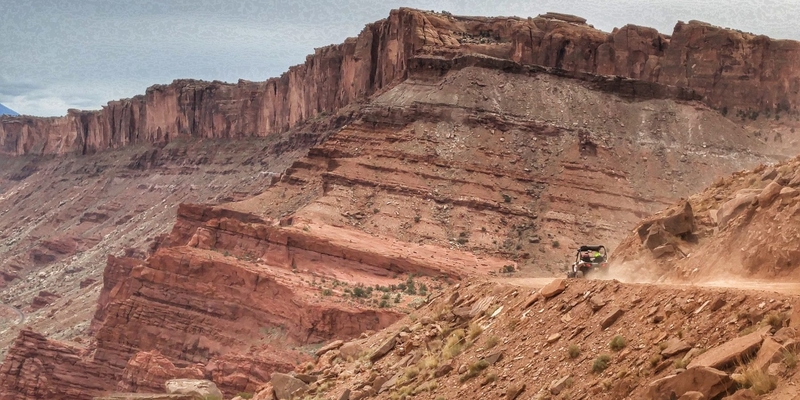 We’ll gear up with a harness, rappel device, helmet, and ropes to tackle one of Moab’s canyoneering routes. 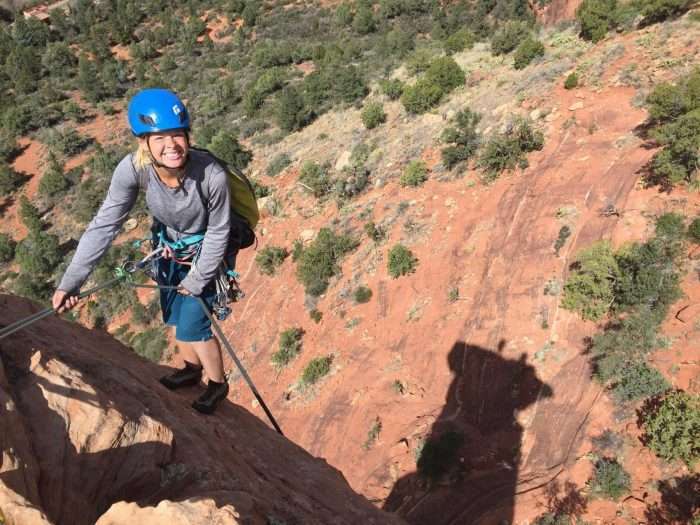 Never rappelled before? No worries! There will be thorough instruction and safety back-ups in all obstacles. 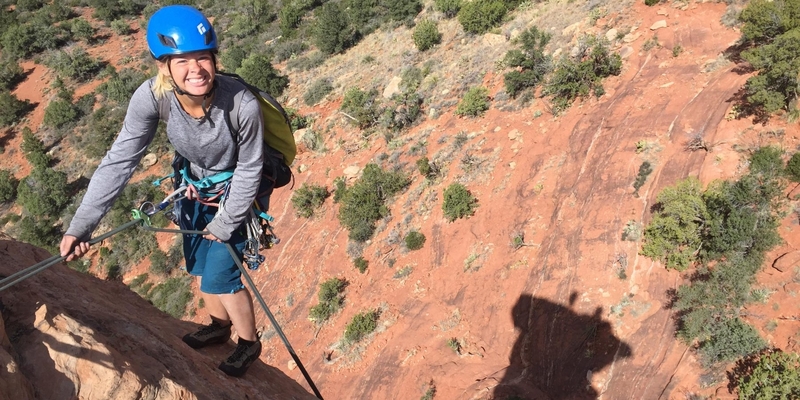 You’ll rappel 130 feet down the canyon wall next to the impressive, Teardrop Arch. 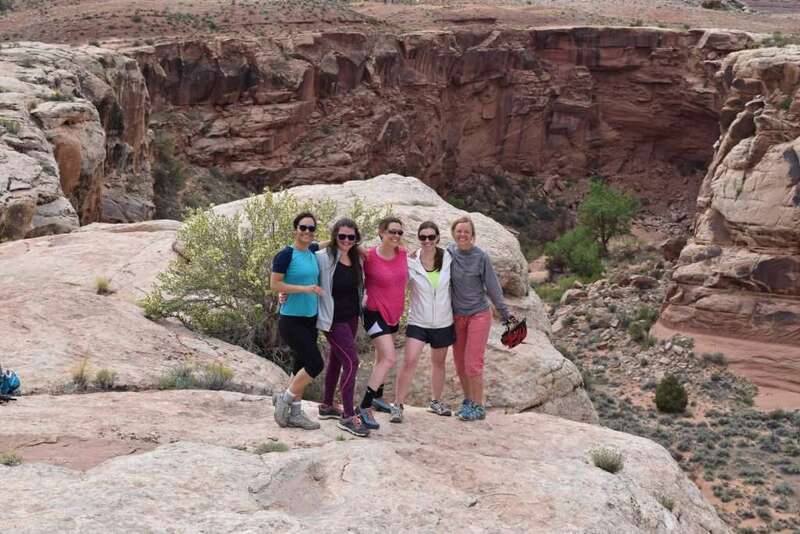 We’ll pass dinosaur tracks and get our feet wet while wading through pot holes in the canyon. Next, we’ll rappel 50 feet into a large, rock amphitheater and finish our day with an exposed 100 foot rappel out of the canyon. After a hearty breakfast, we’ll lace up our hiking boots and explore one of Explorer Chick’s favorite trails in Canyonlands National Park. (Hint: You won’t find it listed as a “best” online!) 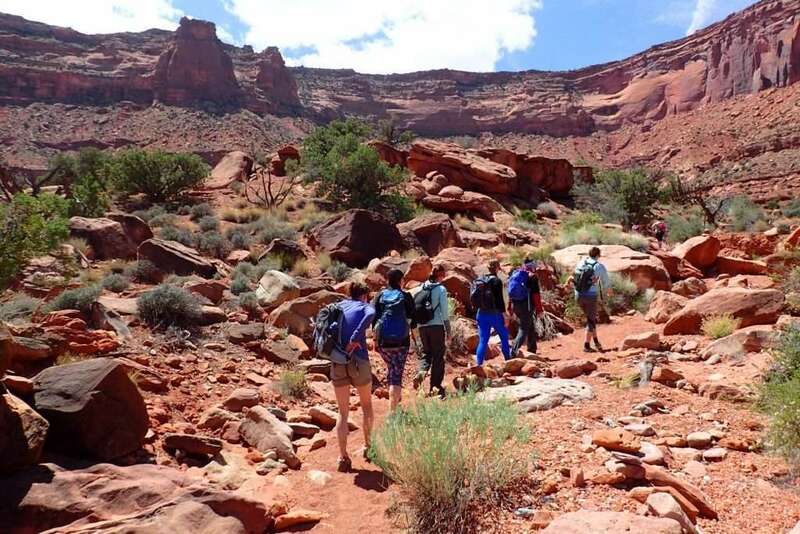 We’ll navigate portions of desert slick rock where the trail is only marked by scattered cairns. We’ll hike among towering sandstone pillars that jut straight out of the ground. 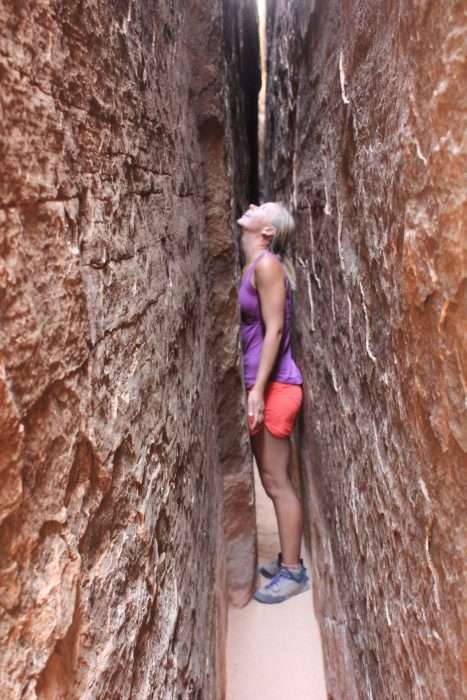 We’ll squeeze through a labyrinth of narrow slot canyons to view landscapes that seem to belong on a different planet. 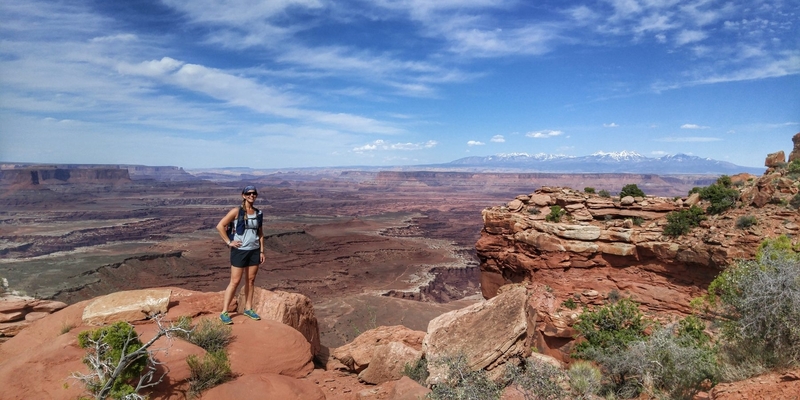 We’ll bask in the desert sun while eating our trail lunch with panoramic views. Along the trail keep your eyes peeled for hidden caves, lizards, pre-historic fossils, and your desert glamour shot. On the way back to our Explorer Chick House, we’ll make a stop at one of the best preserved petroglyph sites in Utah. Hundreds of petroglyphs puzzle historians as they attempt to decipher stories from centuries ago. Today is all about getting dirty and putting that pedal to the metal! We’ll put on our off-roading helmet, buckle our seat belt, and go full throttle into the desert! 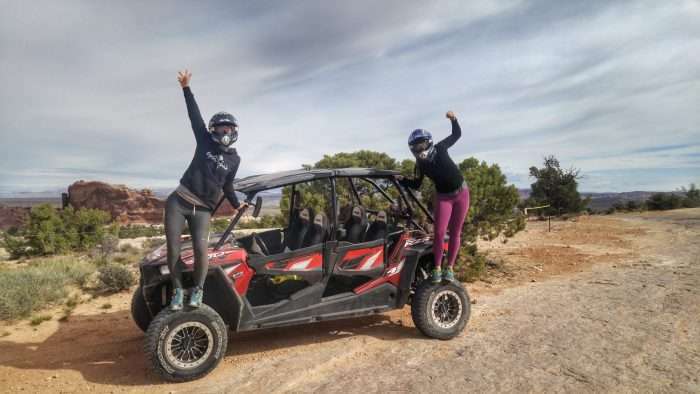 Our off-road vehicles are 2-seater RAZR beasts that can handle steep uphills, creek crossings, uneven rocky trails, and anything that comes in our way. 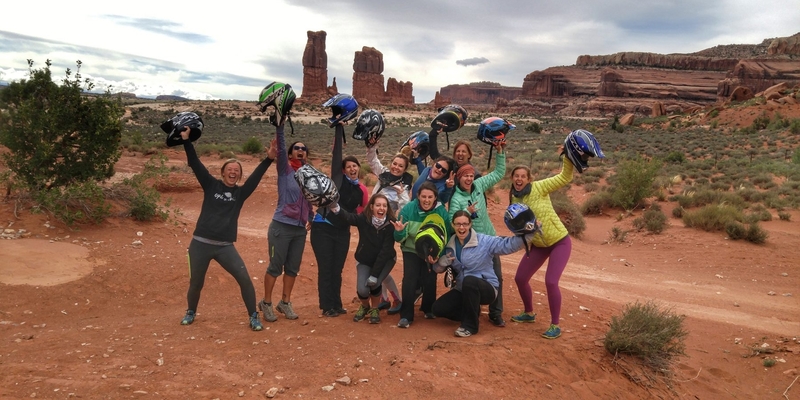 You’ll pair up with another Explorer Chick with each of you having a chance to navigate the desert trails! Our ATV route will take us to remote areas of the desert that are only accessible with 4×4 vehicles. 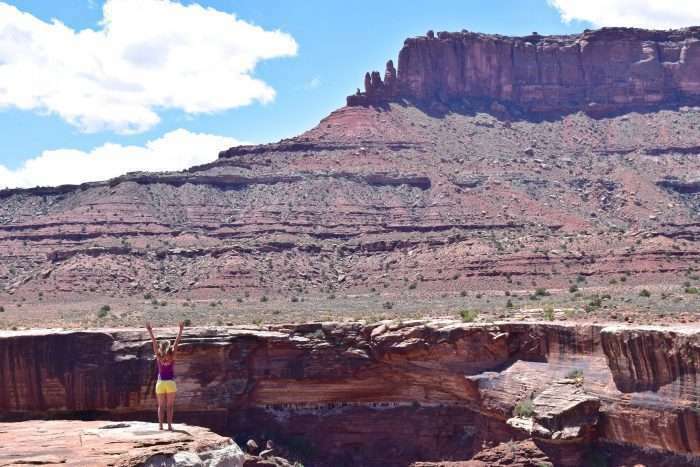 You’ll have the chance to view ancient petroglyphs and a natural bridge while driving your vehicle along cliffs and through canyons. 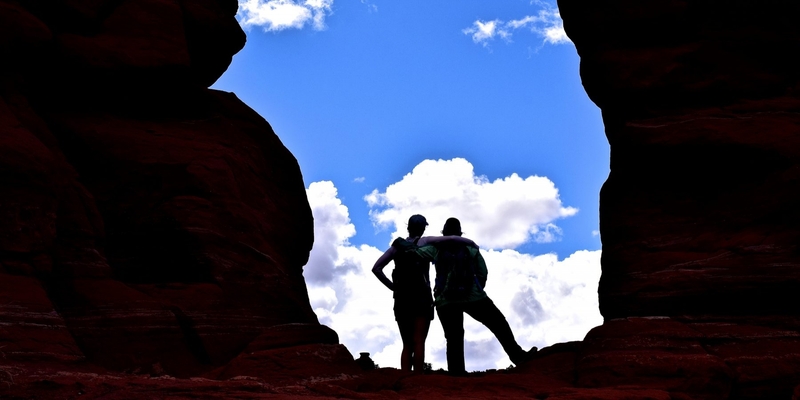 In the afternoon, you’ll have the opportunity to explore the vibrant town of Moab. Wander through galleries featuring local artisans, sip a drink at the local brewery, book a massage, or simply take it all while soaking in the sun. We’ll have an extra early morning today, but it’ll be worth it as you view the sunrise from the edge of Dead Horse Point State Park. Munch on your breakfast and sip your coffee as the sun paints her colors across the sky. 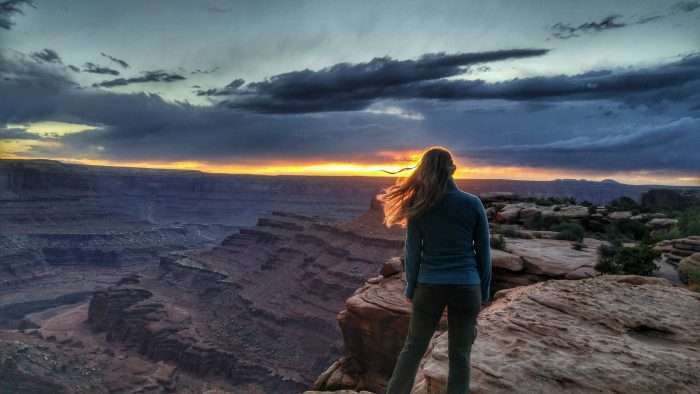 After an unforgettable sunrise, we’ll head over to Canyonlands National Park to tackle the steepest trail in the park. 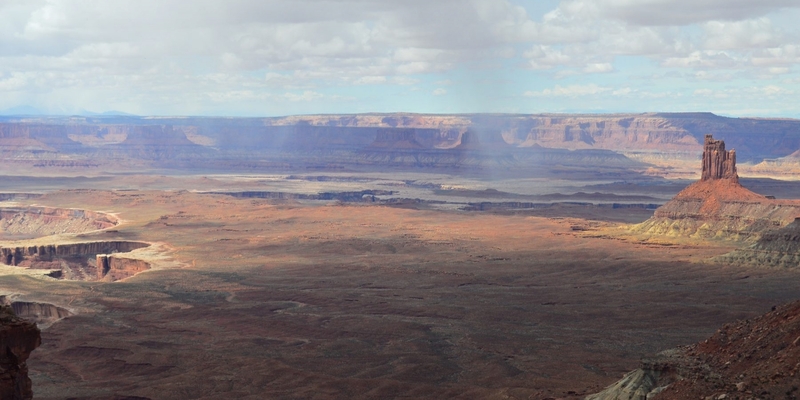 We’ll descend over 1,500 feet over 2.7 miles to the canyon plateau below where we’ll be greeted by the best lunch spot in the park. Chances are, we’ll be the only ones around. A challenging hike back to the canyon rim will take us up the switchbacks along the cliffside working those calves and earning our dinner! 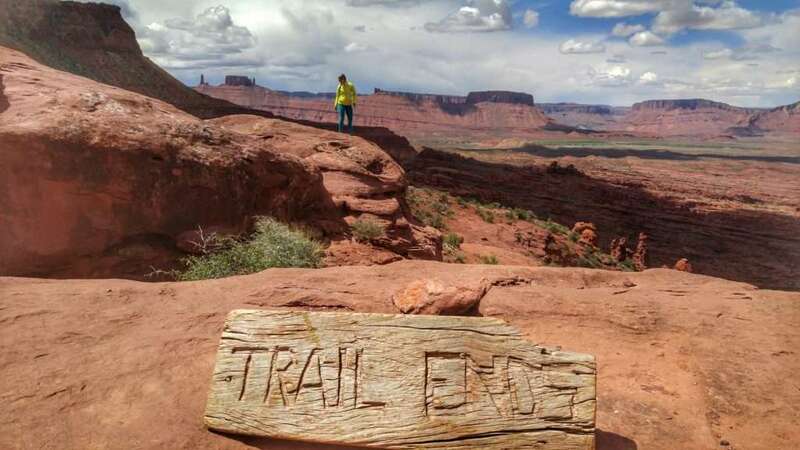 After a triumphant finish, we’ll hop back in our van and stop at the best vista viewpoints that the park has to offer. Sweaty, dirty, glamour shots are the best proof of a day well-spent! Grab your sandals, swimsuit, and adult beverage of choice as we head out on the river for a full day of water and sunshine! 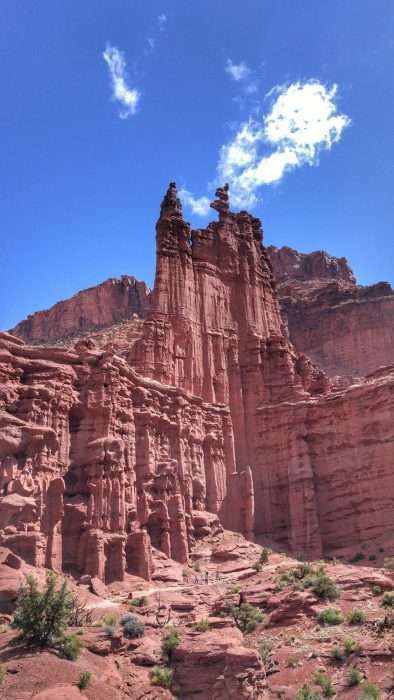 Over thousands of years, the Colorado River has carved the sandstone into steep canyon walls where big horn sheep graze and rock climbers defy the laws of gravity. We’ll paddle Class II-III rapids through the canyon while playing river rafting games and marveling at the canyon beauty. Halfway through our paddle, we’ll feast on a riverside picnic! In the evening, we’ll pack our headlamps and head in to Arches National Park for an iconic sunset at Delicate Arch. 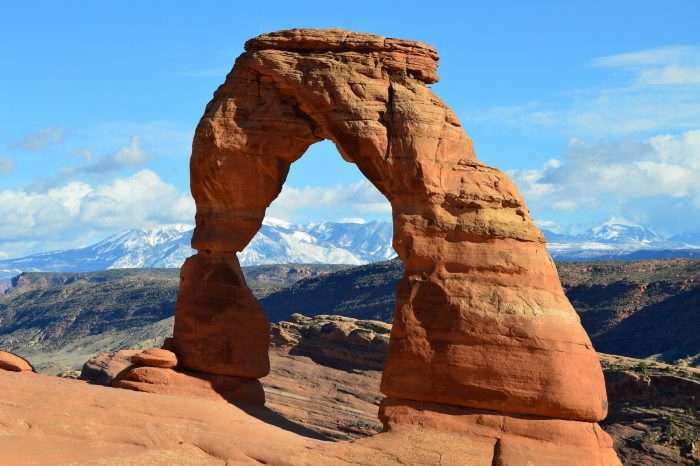 Delicate Arch grazes the Utah license plate and is one of the most photographed arches in the world. 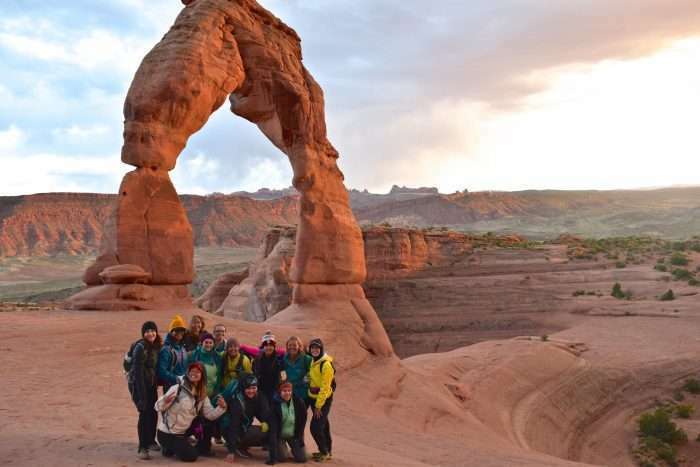 We’ll witness an unbelievable sunset at the base of Delicate Arch before turning on our headlamps and heading out on the town for our final dinner! We’ll pack up and say goodbye to the desert as we drive the 4 hours back to Salt Lake City. 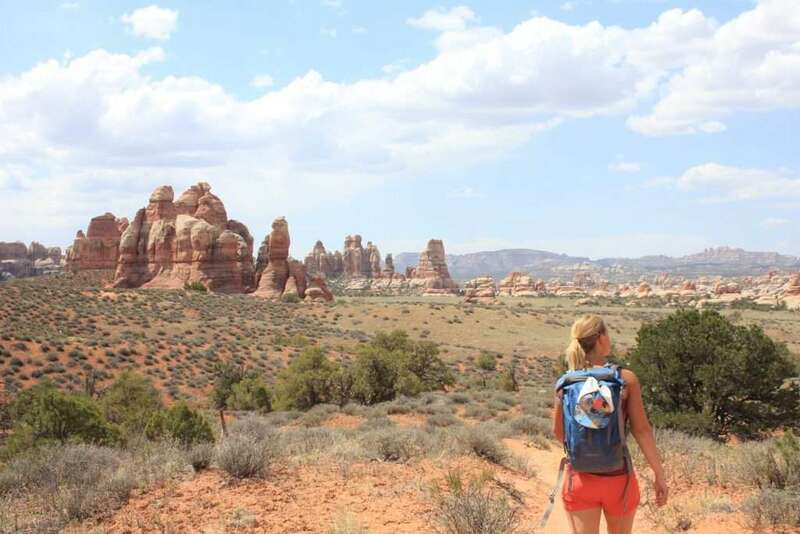 The memories and red desert dirt on your hiking boots will stay with you for months after you return home. Plan evening departures after 4pm. You will receive a Travel Guide with all the hotel and additional information you’ll need to prepare for your epic trip! Your adventure begins and ends in Salt Lake City, UT. Day 1: Arrival. We will rendezvous as a group at 8:00am on Day 1. It is highly recommended to arrive the day before. You are responsible for booking your arrival hotel and airport transportation. Day 7: Departure. Plan to fly out of Salt Lake City on Day 7 after 4pm. It is recommended to fly out the following day in case there are road delays or issues on the trail. You are responsible for booking your departure hotel and airport transportation. We require a minimum of 4 Explorer Chicks for this trip. Please confirm your trip is guaranteed before booking airfare. Just as you would a marathon, you must train prior to your adventure. 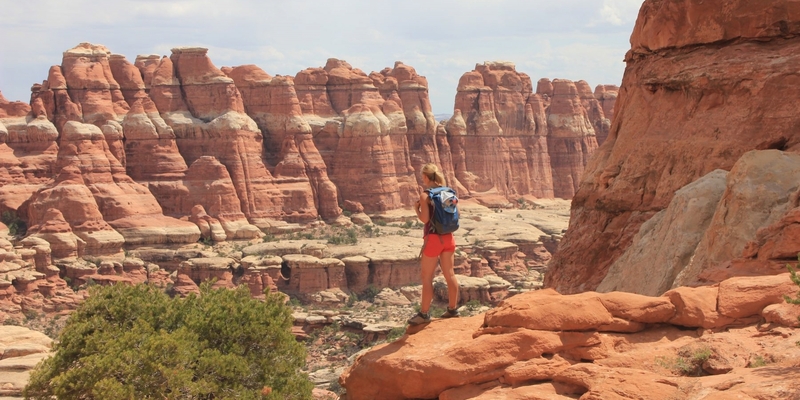 The itinerary is packed with multiple days of hiking and adventures taking place on a variety of terrain. 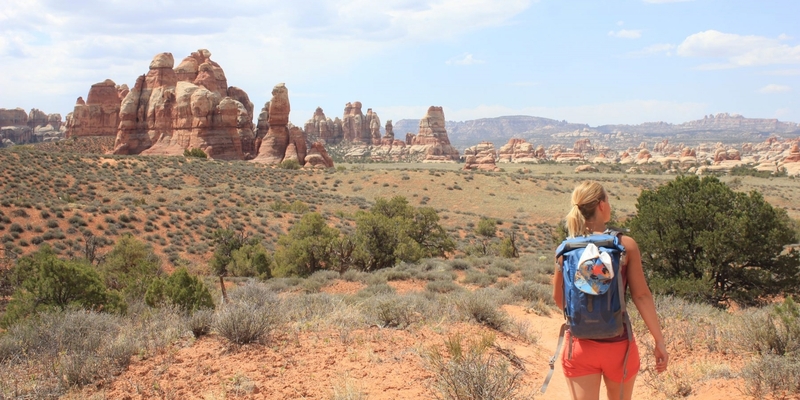 You should be comfortable with hiking up to 11 miles and a full day with your day pack. 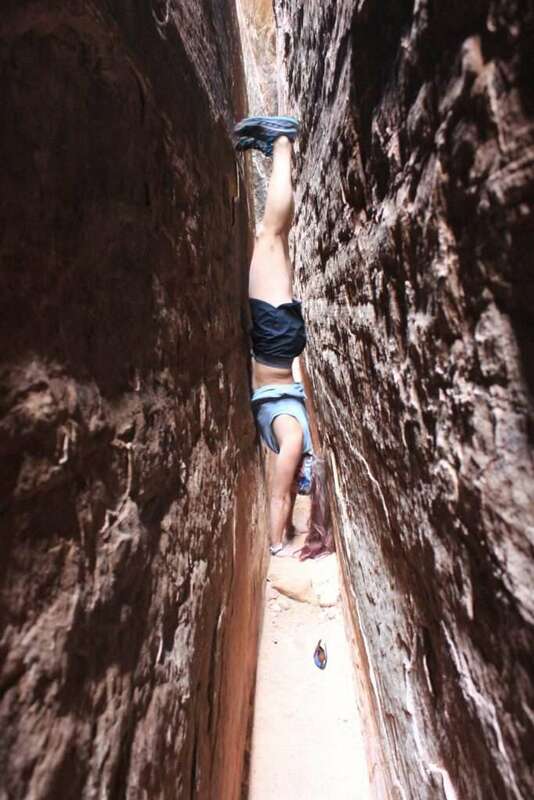 You should very easily be able to hike on rough terrain at 2 miles per hour. Please read the itinerary thoroughly with the stated elevation gains and distances.